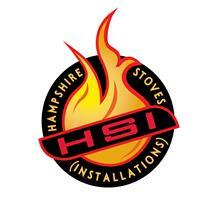 HSI Hampshire Stoves (Installations) - Fireplaces/Stoves based in Old Alresford, Hampshire. Fitting of bird nets/rain guards. At HSI, we pride ourselves in offering a prompt, efficient & friendly family run service, no chimney is no problem with our twin wall internal and external systems. When you call you will only ever speak with either Terry (who carries out all surveys and installations) or Tracy (who handles all phone calls, ordering and diary etc). We are a HETAS approved fully insured company and are always conscious of our customers needs. We are also pleased to offer free estimates, offer a no call out fee policy & fully guarantee all of our work. We joined Checkatrade to be able to give our customers past, present and future an informed choice from our recommendations. Please feel free to contact either Terry or Tracy to discuss your individual needs and requirements, we are always happy to help.